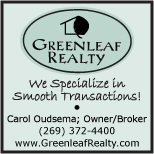 Welcome to our Business Resource page! Here you will find those neighborhood - based businesses who support the ODWNA through their Business Membership. Please consider patronizing your local, neighborhood businesses! Stadium Motors is a family-operated Kalamazoo used car dealership that offers a friendly, relaxed atmosphere in which customers can shop in comfort, without high-pressure sales tactics. With an extensive knowledge of Kalamazoo plumbing, heating, air conditioning, water conditioning, wells, and drains, Dan Wood Co. and family have been dedicated to serving commercial and residential plumbing and heating needs with a family tradition of over 100 years. 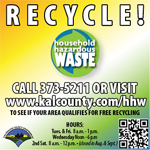 The HHW Center may be used by all Kalamazoo County residents for free except for the City of Galesburg. Berrien County and certain townships in Van Buren County may also qualify. A large variety of items are accepted at the HHW Center. If you ever have a question, please call 269-373-5211. Performing elegant classical music for weddings, receptions and corporate events in southwestern Michigan since 1982.